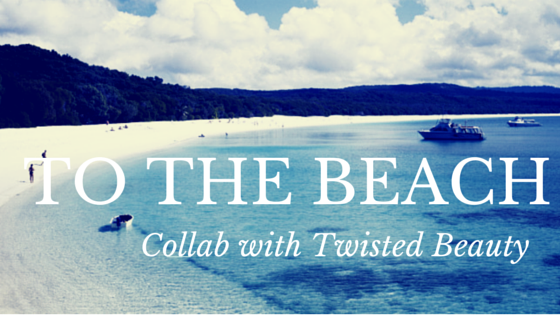 Today I'm bringing you a surprise addition to my To The Beach series, a collaboration with a fellow blogger, the lovely Rachel from Twisted Beauty! We had a chat about doing a post together and it just made so much sense to go with the beach theme as we've both struggled to find nice things to wear and feel confident in so we are going to be coming up with an outfit for each other to wear and sharing 5 awesome tips on feeling confident. So I'll admit straight up, I did a bit of stalking on her blog and took some inspiration from this post which features lovely Cinderella themed items and this one featuring spring picks, further reinforcing that pastels could be the way to go! Based on this I chose the below set from Forever 21, a plus size haven for swimwear. The ruching is super cute and I think the gorgeous aqua colour would look amazing next to her dark hair and light skin. What I love about this bikini is that it gives you coverage on the tummy then shows off your slimmest part in the middle so is super flattering. I opted for a nice jazzy cover up from Asos Curve which has mint accents on the diamonds and I thought this gave the look a bit of an edgy aztec feel about it. 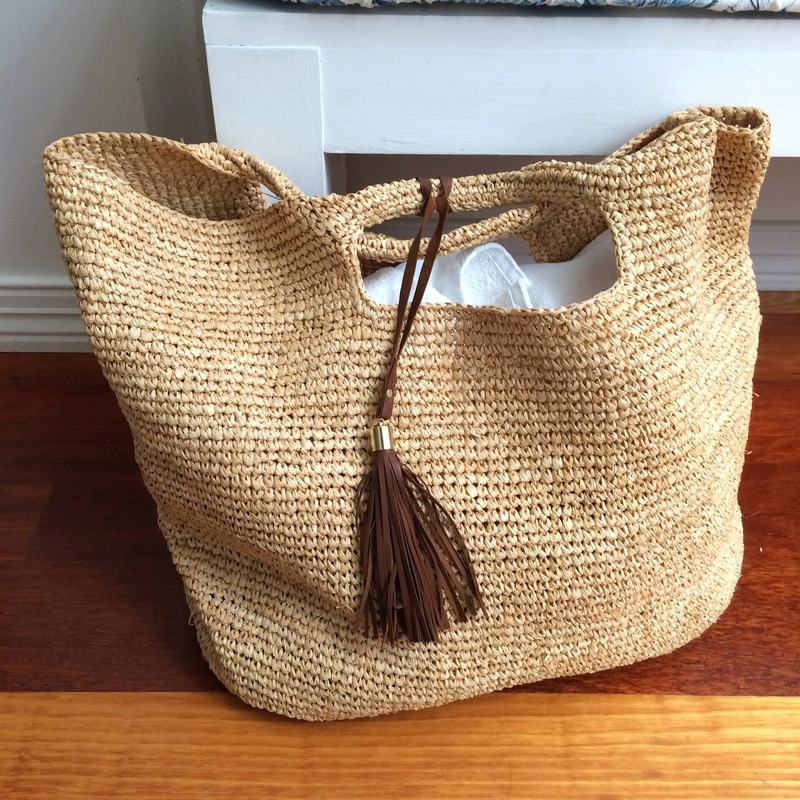 For the bag I wanted to choose a simple, classic design so as not to detract from the awesome pattern of the cover up and gorgeous colour of the swimwear so chose this beauty below from Hickory Hill Home. It's one of those bags that you can throw in everything you need and there's plenty of room for all your stuff like a towel and sun cream. 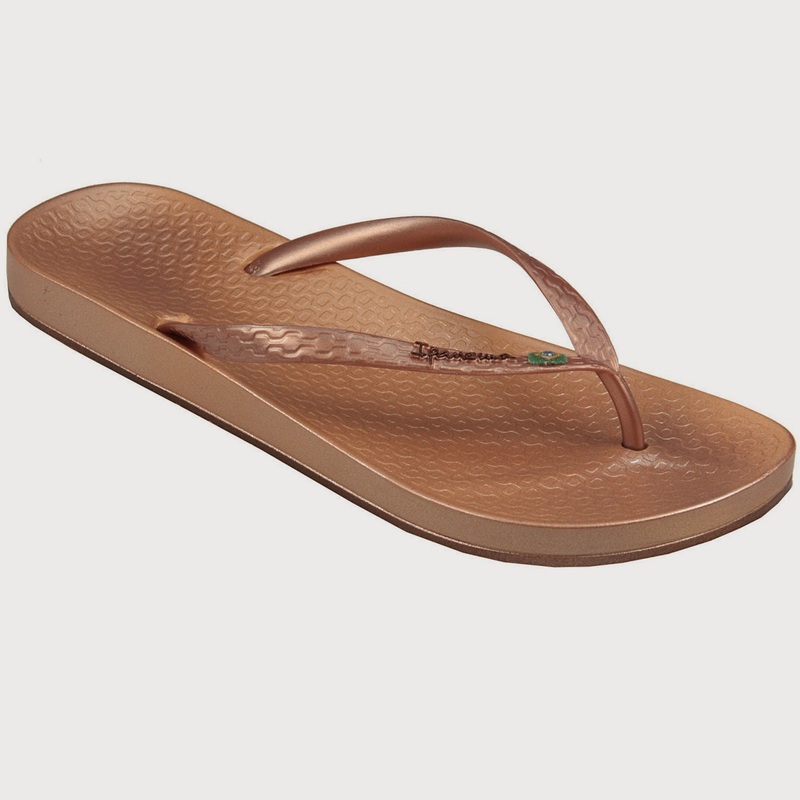 For footwear I've opted for these lovely metallic rose gold flip flops from Ipanema, after all who doesn't love rose gold?! I hope Rachel likes my choices, I think they would look so good on a proper beach background, summery cocktail in hand. For the next part of this post I am going to be giving my top five tips for feeling confident at the beach, I really hope these relate to you guys and help in some way. 1. Confidence comes from within. It's not so much something you can learn, it's more that you begin to accept yourself for the fabulous person you are and embrace your awesome figure. Everyone is different, and you are the only person out there rocking your body, so go for it, don't think about the opinion of anyone else and wear whatever you feel comfortable in. 2. Any of you can wear a bikini, there are some fabulous two pieces out there and it's a really outdated view that plus size women should hide away in a frumpy one piece. As you can see in the set I picked out for Rachel, high waisted briefs are a great compromise if you like extra coverage and the colour choices and patterns are just so exciting and exude confidence and style. 3. Accessorise. Wear a cute necklace, pop on some sultry shades, have a fancy beach bag, whatever you want just go for it and look like a total fashionista. 4. Look after your hair and skin, scrunch in a little bit of mousse or use a sea salt spray for those killer beachy waves and don't forget to use sun cream, there's nothing cool about being bright lobster pink because you overcooked in the sun. 5. Finally, just do whatever the hell you want to do. Let go, have fun, chill out, you're at the beach so just enjoy it and go with the flow. If you're like me, I spend so much of my time worrying about stuff and going over it in my head, it's so freeing to just put everything aside and just think, you know what I'm here, I'm going to have an awesome time and if people aren't on board with that they are the ones with the problem. Not you. I really hope you enjoyed this post, if you want to check out Rachel I have popped her links below including her post which completes this collaboration. Thanks for reading guys! Leave me a comment below if you have any tips to recommend or want to see more of this kind of thing on my blog. I love mint anything at the moment. Great bikini. I agree, mint is so summery! Great post as always!